I'm fascinated by recent reports from both the grand laboratories and the ivory towers of modern physics. My guess is that regular visitors here will also find these items noteworthy. Let's begin with the news that "Bose-Einstein Condensate Made at Room Temperature for First Time." At its most basic, a Bose-Einstein Condensate (BEC) is the fifth state of matter, alongside solid, liquid, gas, and plasma. While the familiar four phases of matter (in the foregoing order) represent more and more energetic conditions -- until, in plasma, electrons come unbound from nuclei -- the BEC phase is a low energy phase. The particles in a BEC are so super-cooled that they collapse into a single, common quantum-mechanical state. That makes BECs (as I made use of them in InterstellarNet: New Order) a convenient phase in which to store and manipulate antimatter. How can a BEC exist at room temperature? It takes being clever -- and even with cleverness, so far a BEC can only be sustained at room temperature for trillionths of a second. That may be long enough to make possible a new class of analog simulations. 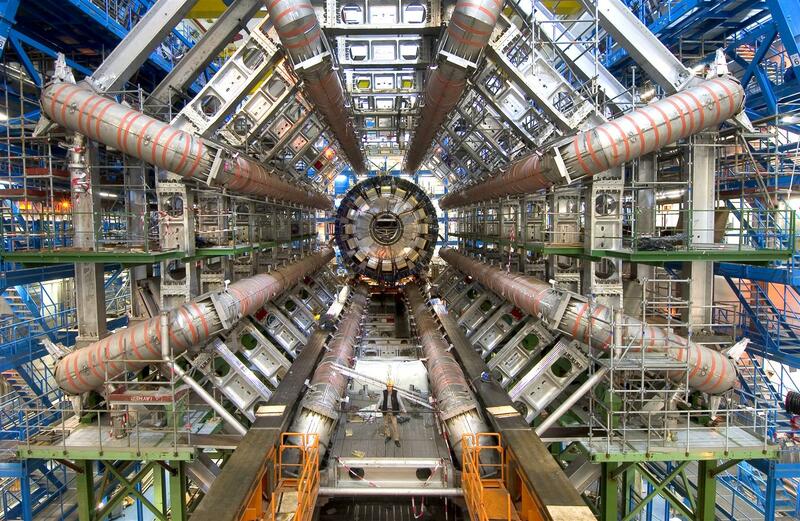 Next up ... "Exotic hadron particles detected at CERN: Bizarre matter defies known physics." "We've confirmed the unambiguous observation of a very exotic state — something that looks like a particle composed of two quarks and two antiquarks," study co-leader Tomasz Skwarnicki, a high-energy physicist at Syracuse University in New York said in a statement. The discovery "may give us a new way of looking at strong-[force] interaction physics," he added. Interesting, certainly, but "defies known physics" seems a bit ... dramatic. Indeed, a more common opinion these days is that "LHC confirms the Standard Model of Physics and that creates a big problem. Why a problem? Because the Standard Model offers no clues how to resolve some of the outstanding riddles of modern physics. Why, for example, does an electron exhibit the specific mass and electrical charge it does? How can the two foundational theories of modern physics -- quantum mechanics and general relativity -- be reconciled? 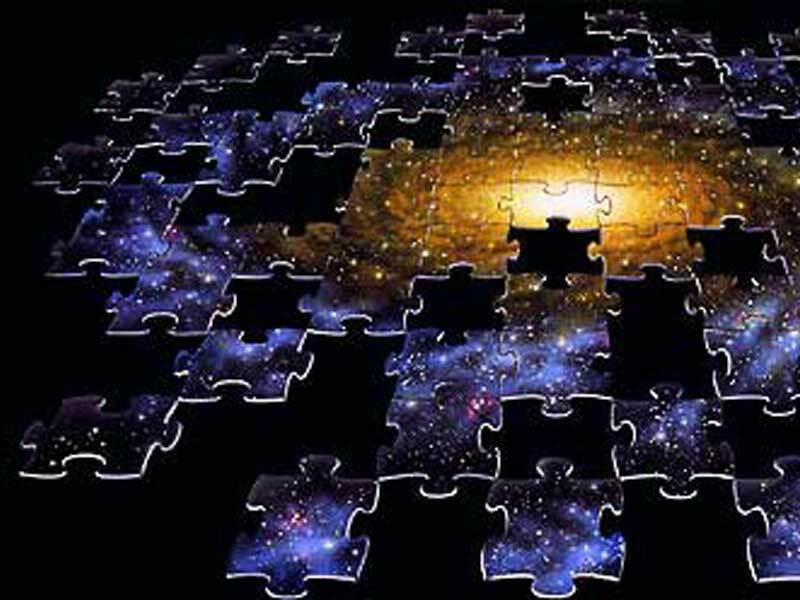 Why did the primordial universe yield unlike amounts of matter and antimatter? (That's an asymmetry without which, presumably, no matter would remain today.) 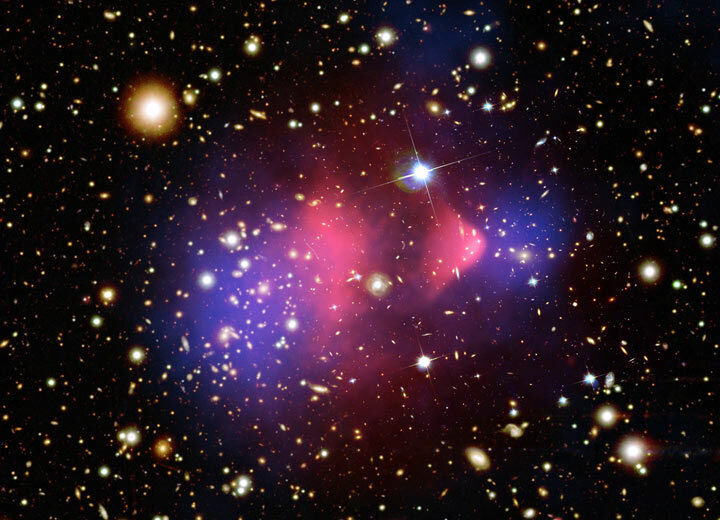 What is dark matter? This isn't the first time I've referenced findings from the Large Hadron Collider at CERN. But many a discovery merely raises new questions. As awesome as is the LHC, the world's premier particle accelerator is nonetheless not powerful enough to answer many of the more recent questions. It's therefore good to read that "CERN kicks off plans for LHC successor." Those plans anticipate a new accelerator whose collision energies will reach (wait for it) ... 100 TeV. As for ambitions in American science, there's also a "New Plan for U.S. Particle Physics." The megaproject would fire neutrinos 1300 kilometers to a gigantic underground detector filled with 40,000 tonnes of frigid liquid argon set 1480 meters down in an abandoned gold mine in South Dakota. It would study how the three types or "flavors" of neutrinos morph or "oscillate" into one another as they zing along at near light speed. Researchers are looking for an asymmetry between how neutrinos and antineutrinos oscillate, which could help explain how the evolving universe generated so much matter and so little antimatter. Quantum mechanics (no matter that, as I pointed out last week, in an entirely different context, the meaning of QM's math remains obscure) continues to point us toward new and interesting technologies. Quantum computing is one such promising technology; QC has the potential to significantly outpace conventional computing. First, alas, QC must surmount several daunting obstacles. That said, it seems that one key challenge has been overcome. The problem at issue is that quantum bits (aka, qubits) are exceedingly fragile -- and hence, transient -- things. It seems likely that any practical quantum computer will need to incorporate error correction. It's therefore promising to read that "Error-Free Quantum Computing Made Possible in New Experiment." Quantum mechanics is customarily described as the theory of the very small. That's true as far as it goes -- but also less than complete. As shown in "Thermodynamics Confronts Quantum Mechanics: Heat flow carried by electrons in a thermoelectric device requires a surprisingly wide "pipe" -- a rare case where quantum effects have macroscopic consequences." Take that, Schrödinger's cat. The probabilistic version, championed by Bohr, involves a single equation that represents likely and unlikely locations of particles as peaks and troughs of a wave. Bohr interpreted this probability-wave equation as a complete definition of the particle. But de Broglie urged his colleagues to use two equations: one describing a real, physical wave, and another tying the trajectory of an actual, concrete particle to the variables in that wave equation, as if the particle interacts with and is propelled by the wave rather than being defined by it. The latter interpretation, of course, is deterministic. So: can determinism be retrofit to the successful/mysterious equations of QM? Alas, the fluid-dynamics experiments relate to QM only by way of analogy. They're suggestive, provocative, and -- as for extrapolating meaning to QM -- inconclusive. Perhaps the reason that theorists have been having so much trouble coming to terms with some of the puzzles of modern physics is that many of us have been attempting to do so while ignoring the conceptual difficulties that afflict quantum theory itself. From the Smithsonian Blog, read the whole thing: "Physicists Think They Can Solve the Mysteries of Quantum Mechanics, Cosmology, and Black Holes in One Go." And now it's time for me to go.